100% A-CLASS LAMBSKIN LEATHER - Made of high-quality authentic Lambskin Leather with softness of touch, suppleness, strength and lasting comfort. 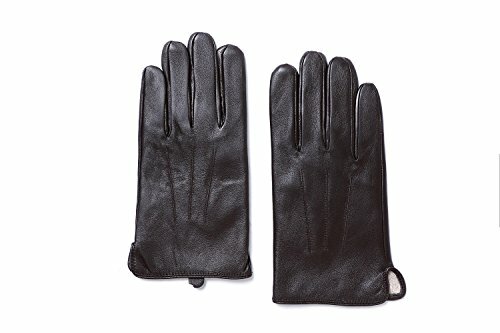 The leather gloves fit your fingers well and would be your chic Cold Weather essentials. BUY NOW WORRY FREE - Backed by 100% no-questions-asked replacement or refund policy. Enjoy these beautiful chic items at absolutely no risk to you. Why not give it a try?